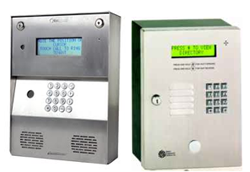 Telephone entry systems are the traditional way of controlling who can enter a door or building. The visitor "calls" a resident or employee (via speaker system or telephone system) and then that resident or employee can "buzz" the visitor in. 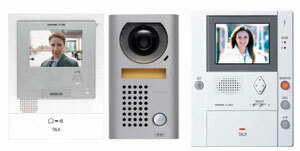 Telephone entry systems come in all shapes and sizes with varying degrees of features. Let DigiTek Security do the research for you, saving you hours of investigation time. Video entry systems work on the same "call" and "buzz" theory that telephone entry systems do. However, not only does the resident get to speak to the visitor, but they get to see the visitor as well before buzzing them in. As with telephone entry systems, the configuration that you need will vary. DigiTek Security's sales staff will design the right system for your application. A keypad, keycard or key fob reader system can be added to all of DigiTek Security's access control systems, so you can gain entry without the "call" and "buzz" inconvenience. Readers are the perfect addition to any access control system.